The story of a half boy, half bat hybrid, Bat Boy is a truly unique show. Three teenagers stumble across a Bat Boy while caving, and take him to the sheriff of their town, Hope Falls. Not knowing what to do with the boy, Sheriff Reynolds takes him to the home of veterinarian Thomas Parker. 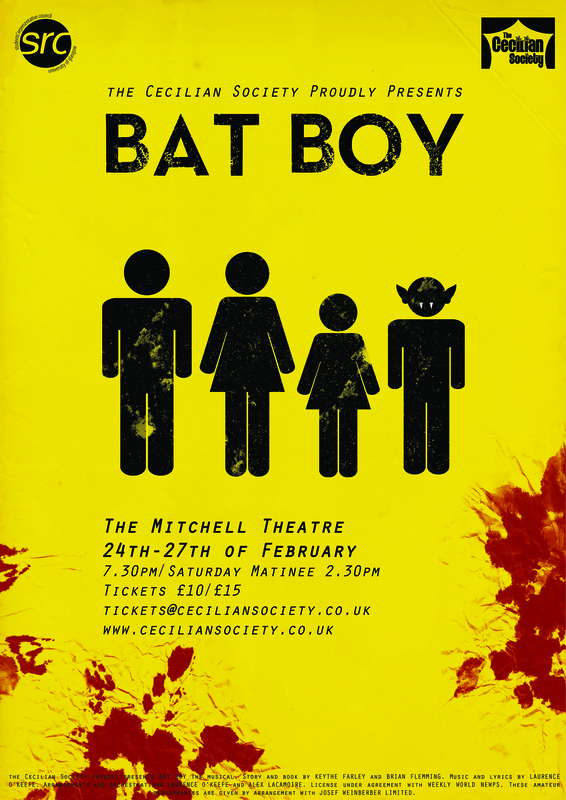 Bat Boy is a story of family, love, and seeking acceptance: dark, surreal, funny and full of heart, Bat Boy is a show our cast, crew, and audience will never forget.